Working with Trish Andrew for our home search was a real treat. It is commonly known that house hunting can be a very stressful experience, but lucky for us Trish made it far more pleasant and comfortable than anticipated. We always felt that Trish was doing whatever was in our best interest and never self-serving. Not only is she very a very personable professional, she is also extremely competent. Our experience with realtors working for the home owners showed that not only did she have a very great understanding of the ins and outs of writing up a contract but that she was very skilled at applying that knowledge to our best advantage. She was very involved in helping the other party write up the lease agreement as their real estate agent had very little experience. We felt very comfortable signing the contract knowing that she would catch anything that would be detrimental to us. 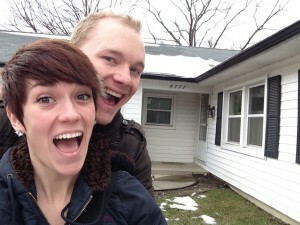 The entire process went smoothly and we love our new place. We highly recommend using Trish to anyone looking for a new home. We are certainly glad that we had her on our team!